In a post last December, I mentioned in passing the widely held fiction that when Christopher Columbus set off on his first voyage, many if not most Europeans thought he would sail his ship off the edge of a flat earth and into oblivion. I was taught this in elementary school, and I have spoken to many people my age who remember being taught the same thing. More recently, I questioned my college students about this, and many of them said they had the same impression about Columbus. The fact is that it was common knowledge among Columbus’ contemporaries in Europe that the world was round — a point that Nancy Marie Brown makes in her book, The Abacus and the Cross. This book is not about Columbus; it’s about Gerbert of Aurillac, a French monk who lived in the 10th century. Gerbert had a thirst for knowledge and he became thoroughly schooled in the humanities and in the sciences. His scholarship carried him to Spain, where he came in contact with a thriving Arab Muslim culture which had preserved enormous amounts of philosophical and scientific knowledge that had been lost to Europe. Gerbert seems to have had both the curiosity and the capacity of a Leonardo or Michelangelo, and he devoured as much learning as he could. He was engrossed in both mathematics and in music, for example, and in the relationship between the two disciplines. He scrutinized the properties of organ pipes, and he eventually designed a built a prototypical organ that was not driven by water — the common technique of his time — but by forced air. He didn’t only strive to satisfy his own curiosity. He was an influential teacher whose students included royalty. In the process of carrying out this vocation he introduced Europe to the place system of arithmetic — vertical rows for the ones, tens, hundreds, and so forth — which was much more efficient than the clumsy Roman system and which the western world has been using ever since. In this connection, he also carried back from Spain numerals that had originated in India and that had been adapted by the Muslims — the forerunners of the so-called Arabic numbers we use today. As the title of the book suggests, he learned in Spain to use an abacus board to calculate, and he later designed his own versions and taught others how to use them. Also among Gerbert’s interests was astronomy. He learned all about astrolabes, overlaid disks that were used to trace the positions of the sun and the moon and the stars and the planets — and tell time — and about celestial globes, which were three dimensional representations of the apparent paths of the heavenly bodies. He made his own models of these instruments, too, sometimes taking as much as a year to finish one. As Brown points out, it is clear not only that Gerber, in the 10th century, knew that the world was round, but that Pythagoras determined that around 530 BC, and Erastosthenes figured out how to calculate the circumference of the globe by 240 BC. Some flat-earthers persisted, but by the time of Columbus the point was moot in western Europe. 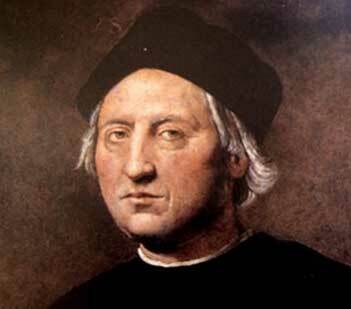 Columbus knew the world was round; his mistake was in underestimating the circumference. Being a churchman in that era, and one who enjoyed consorting with powerful people, Gerbert inevitably got drawn into the constant political turmoil in Europe, and his fortunes rose and fell along with those of his patrons. 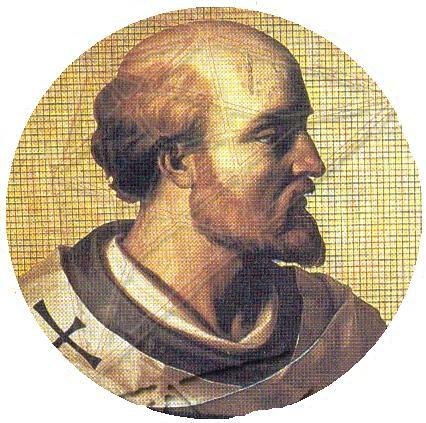 He almost ended on a high note when he was elected Pope Sylvester II in 999 AD. Even that didn’t turn out so well, because he had to flee Rome for a while along with his patron of the moment, the Holy Roman Emperor Otto III. Sylvester died in 1003. During his lifetime and for a long time after his death he was the subject of rumors that he consorted with the devil or engaged in sorcery. Ironically, this was because of his pursuit of knowledge in astronomy and mathematics, which in some ignorant minds were associated with the occult.